The journey has begun for my son. It was a beautiful Sunday afternoon wedding and the Lord provided the perfect weather for this outdoor occasion. All the fears of dehydration and sunburned guests were put aside as everyone sacrificed themselves for the love of this newly married couple. The venue was fantastic and with over 260 guests (including many children), the blending of two families was off to a great start. The young couple was reminiscent of my special day nearly 30 years ago. I was provided the wonderful opportunity to give a speech and toast. 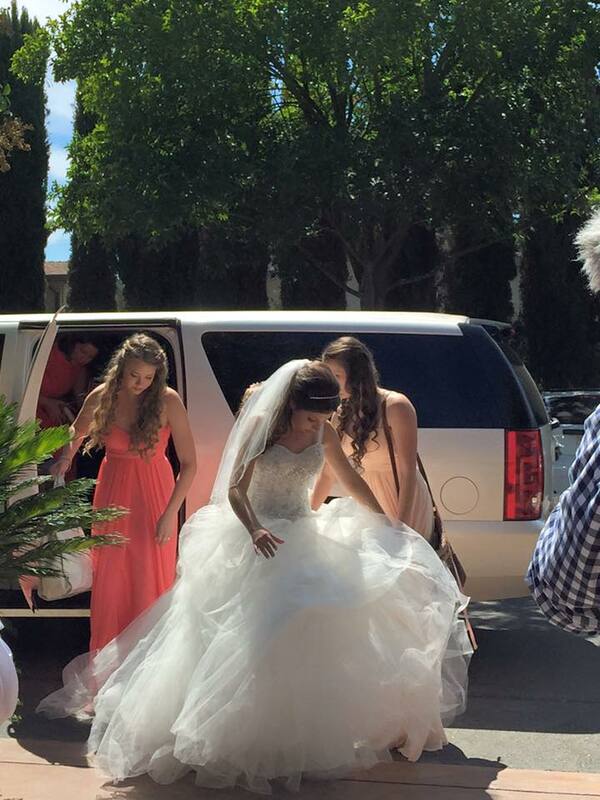 I told the story that paralleled my son’s sequence of events which led to his special day. Though I practiced the speech, my emotions turned me into a choked-up father as I could not quite keep it together at the end. 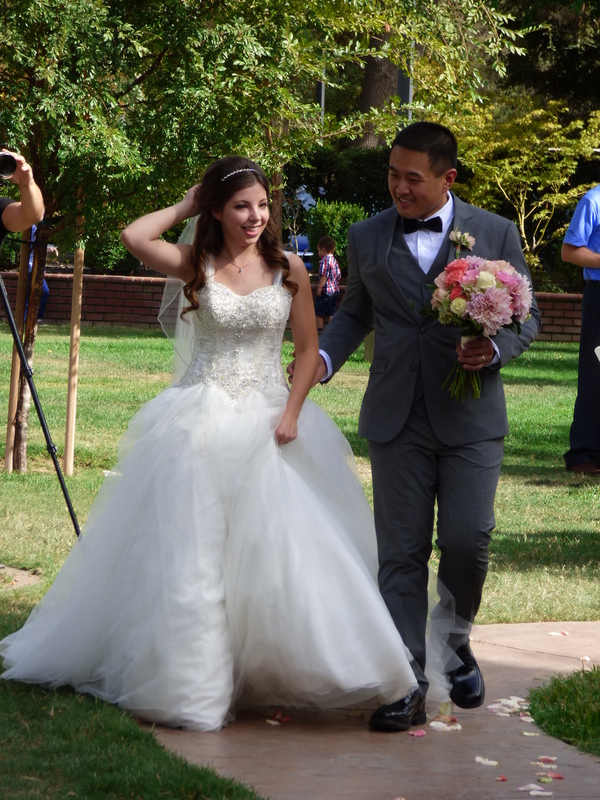 Our new daughter-in-law looked like a princess and if you have been keeping up with my previous blog posts, you will know the journey my son has endured which made this day all that much more special. He wanted to include his dearly departed mother in the ceremony somehow. My gracious wife wrapped my first wife’s Bible in lace while I included a few special pictures in it as well. 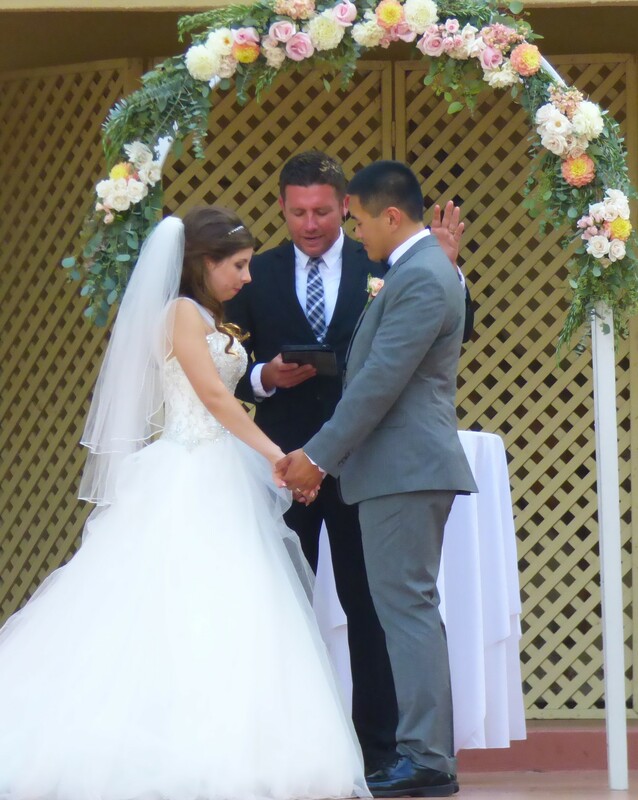 The honored Bible was brought down the aisle by the ring bearer and I’m sure many did not realize the significance of that gesture – it was hard for me to keep it together as I watched that Bible pass by me (I recalled purchasing that Bible for her many years ago). 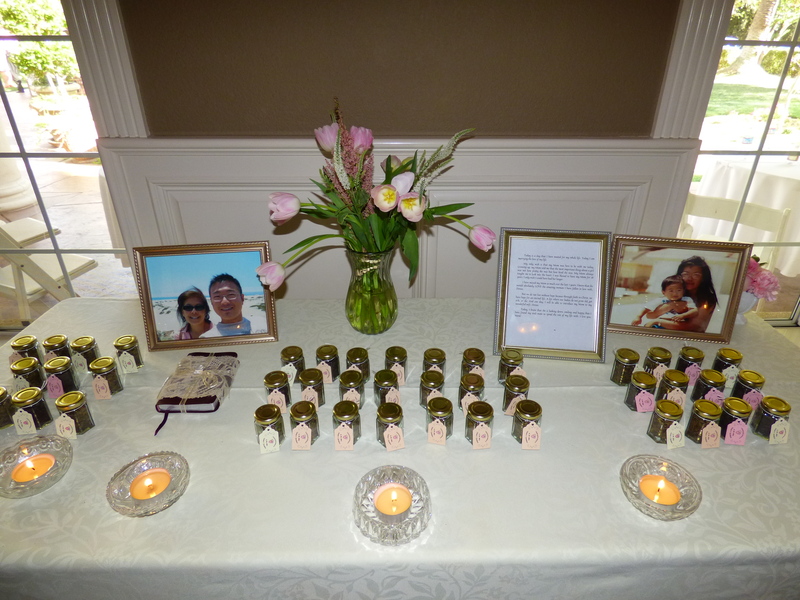 Inside the banquet hall, my son wanted a table solely dedicated to her memory. 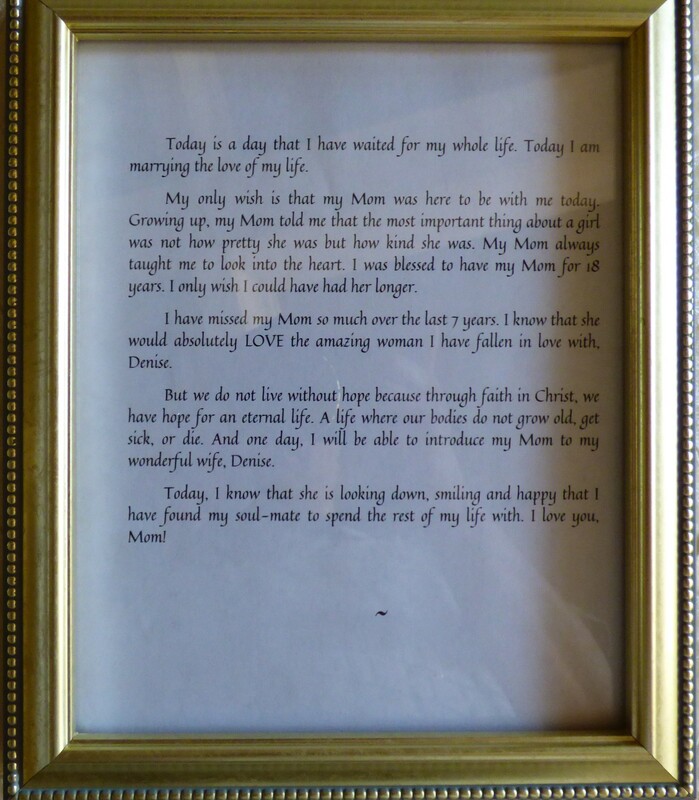 He wrote a special letter to his mom and laid it in a nice plaque. Some guests have approached me afterward and commented how moving that letter was and how much honor my son gave to his mother. I am so proud that he honored my late wife, his mother. Though my side of the family was not provided the opportunity to enjoy some traditional Chinese culture such as the Tea Ceremony (where we would pass down some family jewelry to this new couple) or Chinese food (to signify long life and happiness), my hope is that the Chinese culture will not be forgotten in this new marriage. In the meantime, much happiness and long life to our son and his new wife. We are so excited to welcome our second daughter-in-law into our new family this summer (yes, this summer we enjoyed two weddings). Marriage is about love, honor, and respect. Live well my son in these values. This entry was posted in Journey, Life, Wedding and tagged appreciation, Courage, faith, Family, husband, Life, Loss, Love, Marriage, wife. Bookmark the permalink.